Plenty of folks are passionate about foods. If you love experimenting with foods, there is no reason you shouldn’t start a business covering them. The Kitchen Table happens to be a recipe theme for WordPress. It has a responsive design and is translation ready. 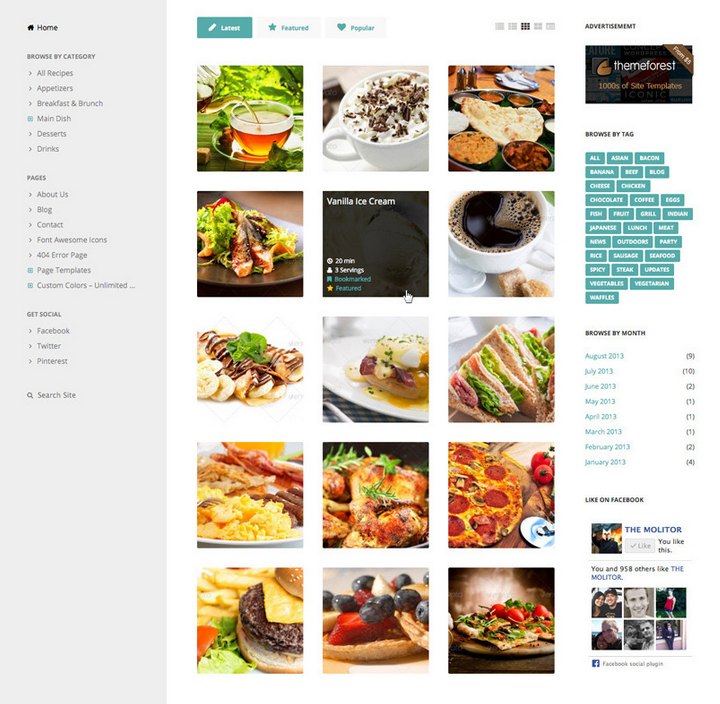 You are provided with plenty of fonts, shortcodes, and effects to bring a decent looking recipe site online. The Kitchen Table has everything you need to share recipes with your audience. The design is responsive, so your site will look fine on tablets and smartphones. The theme is retina ready. 300+ Font Awesome icons are included. Want to change your site color? No problem. jQuery animations and effects are also included. You also get demo content to go live faster. 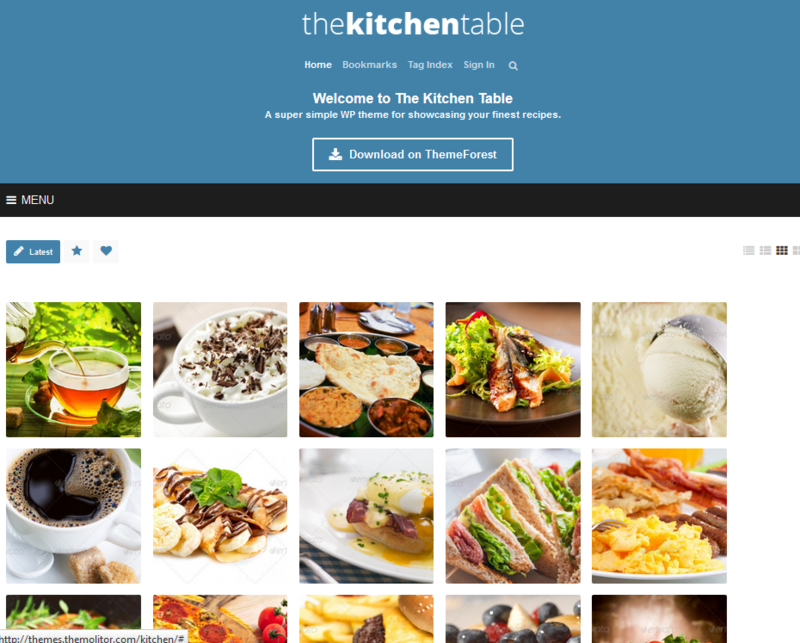 The Kitchen Table theme is decent looking and could work great for recipe sites, food blogs, and similar portals. This is a premium theme.